Rome in the Baroque period was home to a who’s who of musicians of the day, and was the backdrop for great musical innovation. 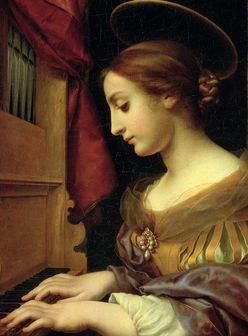 Frescobaldi, Pasquini, and Froberger ushered in a new keyboard style, while Corelli and Vivaldi invented new genres for strings. This program will explore a variety of pieces with connections to Rome, including keyboard works and 18th century transcriptions of string concerti by J.S. Bach and Thomas Billington. Anne Laver, organ professor at Syracuse University, is reunited for this recital with Schroeder Hall’s Brombaugh organ, which she played during the instrument’s sojourn in Rochester, New York.